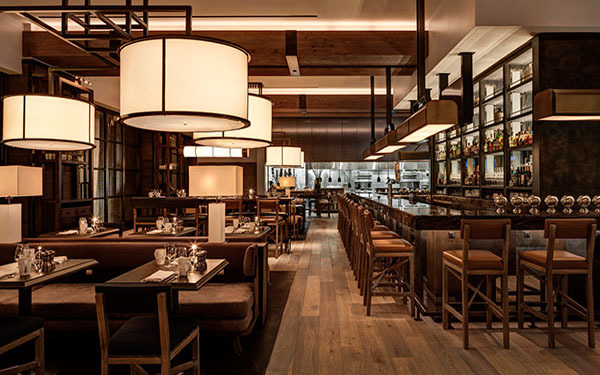 Celebrated Chef Tom Harkins brings his excitement and energy to the menus at Bank & Bourbon where he blends traditional, inherently American dishes with a modern flair. Bank & Bourbon features an innovative barrel-aging program for house aged liquors and creative cocktails under the guidance of its experienced Bourbon Master. A comfortable and relaxed setting provides the perfect place for a quick lunch for two or dinner for a large group.